The Canadian Association of Irlen Professionals (CAIP) is a corporation established in Canada to facilitate the identification, treatment and dissemination of information about Irlen Syndrome to individuals in Canada and to encourage excellence in practice by the members. 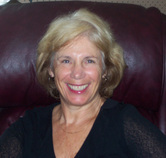 Helen L. Irlen is an internationally recognized educator, researcher, therapist, scholar, and expert in the area of visual-perceptual problems. LOOKING FOR AN IRLEN SCREENER? cLICK HERE!